Which type of prospective student are you? This video highlights some of the special things we do in this program, in and out of the classroom. 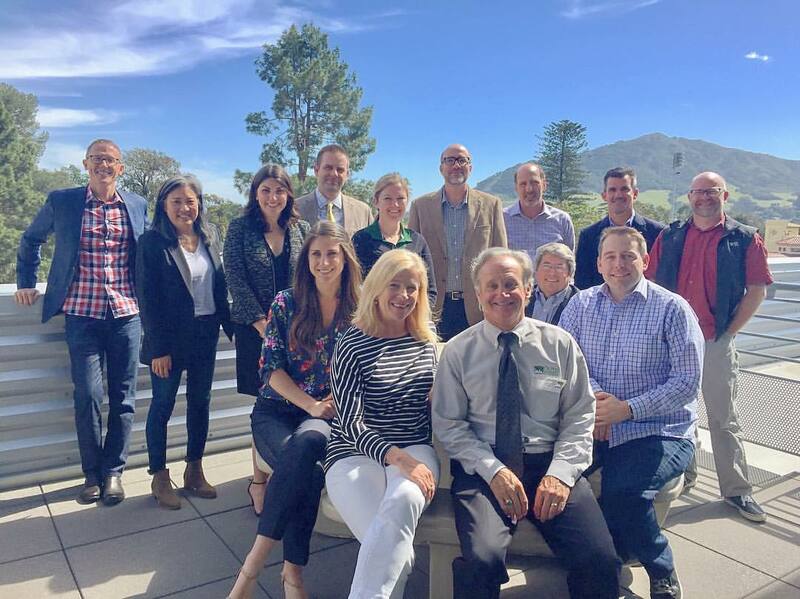 The students in this program embrace the Cal Poly motto of "Learn my Doing", and they form lasting relations with their professors and each other along the way. How is it different from Civil Engineering or Architecture? What makes Cal Poly ARCE special? Our Department Head Al Estes has all the answers for you. Information about tour times and locations can be found here. 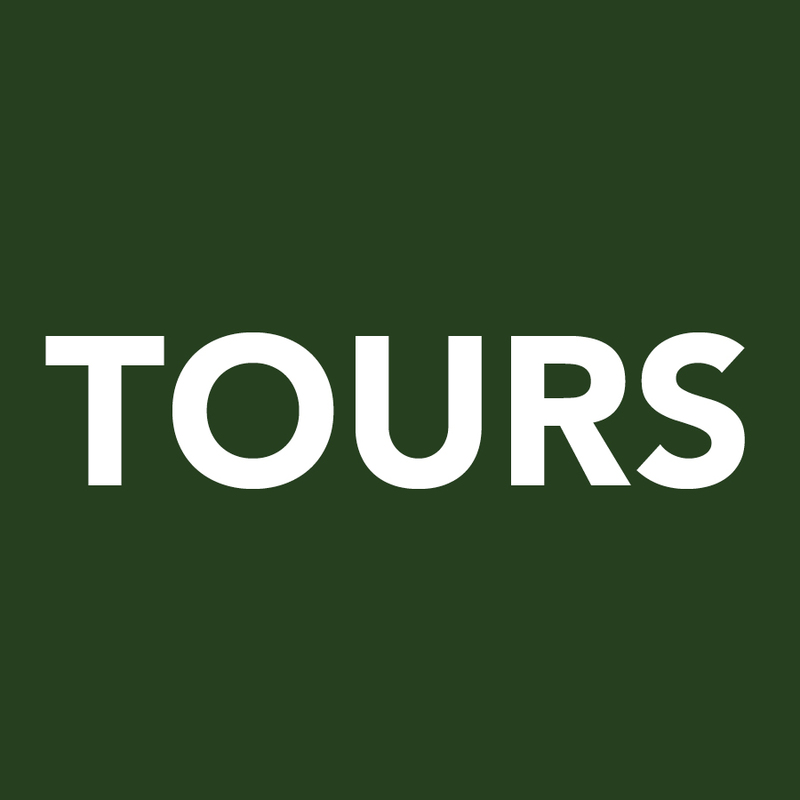 The tours are given by the CAED ambassadors, if you would like to get to know some of the ambassadors, please click here! The architectural engineering program was created originally as an academic body of knowledge primarily concerned with people occupied structures. The accredited programs throughout the United States, while sharing a common general mission, all have their own specialties supplemented by other specific proficiencies related to the field. Cal Poly's Department of Architectural Engineering's (ARCE) curriculum focuses on the structural engineering of buildings. By focusing on building design students are able to take many more structural engineering courses than is possible in a traditional civil engineering program. Beyond structural engineering courses, students take several architecture and construction management courses, giving them an appreciation for these disciplines as well. Our department is unique because the curriculum consists of a mix of theoretical and practical courses. Students take several intensive design labs in which they design actual buildings, and have many opportunities to build models and test building components in the labs. Our limited class sizes encourage greater faculty-to-student interaction. 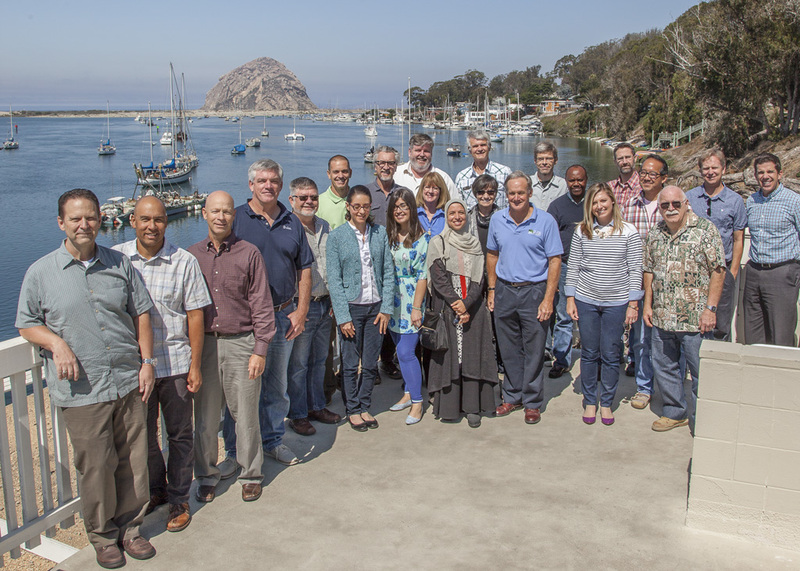 The student chapter of the Structural Engineers' Association of California (SEAOC) is a very active professional student club, and we have an excellent network of alumni. Additionally, there are numerous scholarships which our students are eligible for. Companies actively seek and recruit students from our department for internships and career opportunities. During the first year at Cal Poly, the student will not take any architectural engineering courses but rather mathematics, physics, and architectural courses along with fulfilling the general education and breadth requirements. While this can be distracting to a young person's ambition to be in the architectural engineering program, the second year starts to expose the student to the fundamentals of the profession. The third and fourth year include the transition to the design labs and are the signature classes within the program. 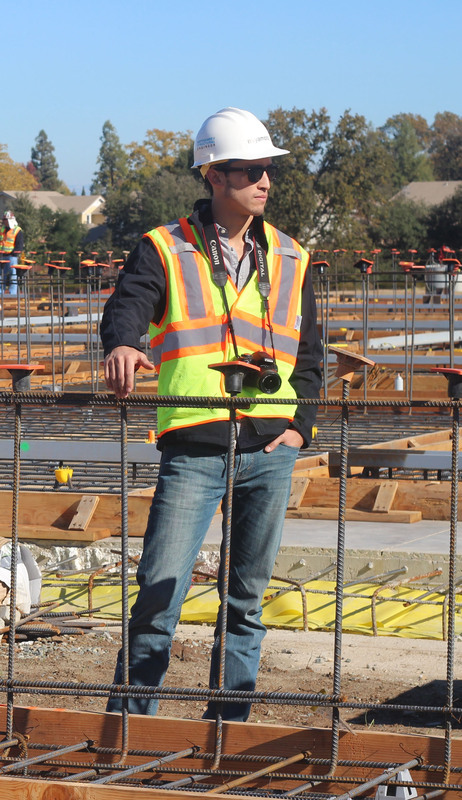 Advance in a career path primarily in structural engineering or a building industry field, attain a graduate degree, engage in lifelong learning, and meet increasing professional demands to communicate effectively. While there are strong ties between the two departments Architecture (ARCH) and Architectural Engineering (ARCE), Architectural Engineering leads to a career as a Structural Engineer rather than as an architect. The Architectural Engineering program is a 4 year program in which upon graduation you will receive a Bachelors of Science in Architectural Engineering where as the Architecture program is a 5 year program. There is also the possibility of receiving a Masters of Science with an Architectural Engineering Specialization. In the most general sense, Architecture focuses on more of the design aspect of the construction process, specializing in the aesthetics and function of a building. Architectural Engineering focuses on the systems that support the building and its operation, such as heating and cooling, structural support and lighting. A career in Architectural Engineering is very similar to structural engineering which involves the analysis and design of physical objects such as buildings, bridges, equipment supports, towers and walls. Architectural Engineering students at Cal Poly have expertise in the strength of materials and in seismic design of structures. Architectural Engineers work closely with architects, construction managers and other engineering specialists. Architectural Engineering is also sometimes confused with Civil Engineering (CE). While similar, Architectural engineering differs from Civil Engineering in that the focus of the ARCE program is on structural engineering of buildings whereas a traditional Civil Engineering program offers a broader curriculum that includes courses in transportation, wastewater, environmental engineering, etc. in addition to structural engineering courses. By focusing on the engineering of buildings, the Architectural Engineering department is able to offer many more courses related to structures. For students interested in designing buildings - ARCE is probably the place for you! For students who aren't sure which branch of engineering they wish to pursue - Civil Engineering may be the way to go. The department has a requirement that all students have a laptop computer. A laptop computer is the key to having computing capability available at all times and all locations. Financial aid may be available to cover the cost of the computer laptop. Go to the Cal Poly Financial Aid Office web site for more information. A note about Mac laptops. We get a number of people asking about using Mac vs a PC. Your student can use a Mac if he or she chooses, however, most of the programs ARCE requires will only run on Windows. The only solution is to dual partition your hard drive and load Windows OS onto it. Our college techs can help with this process, but Windows 10 will have to be downloaded. CAED students can download this for free. If this seems like too much hassle, or your student isn't sold on a Mac already, a PC may be the better choice. For more information on computer systems, please contact the University Bookstore or visit the computer tab of their web site at http://www.calpolyuniversitystore.com/. Additionally, you may visit Dell University. Students can get windows 10 free through OnTheHub.com. The CAED tech team can help you download this to your new computer.